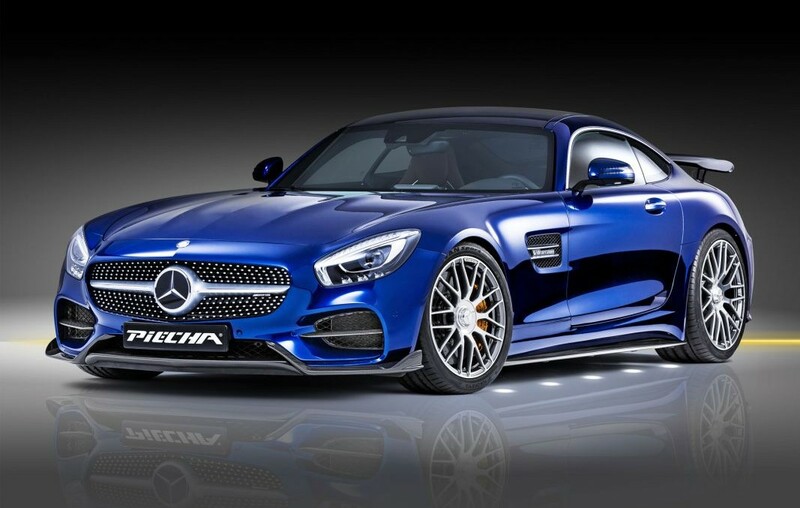 German tuner Piecha Design offers a solution for those who find the Mercedes-AMG GT… slow. The bright blue creation goes as the Mercedes-AMG GT RSR through life and is based on the Mercedes-Benz AMG GT S.
With the help of its development partner Perform Master, Piecha installs a tuning engine management module which brings the four-liter twin-turbo V8 to 612 hp and 840 Nm. The sprint time should thus decline to 3.7 seconds, while maximum speed rises to 330 km / h. The matching sporty sound is provided by a four-pipe stainless steel exhaust system with hard chromium plated 90mm tailpipes. 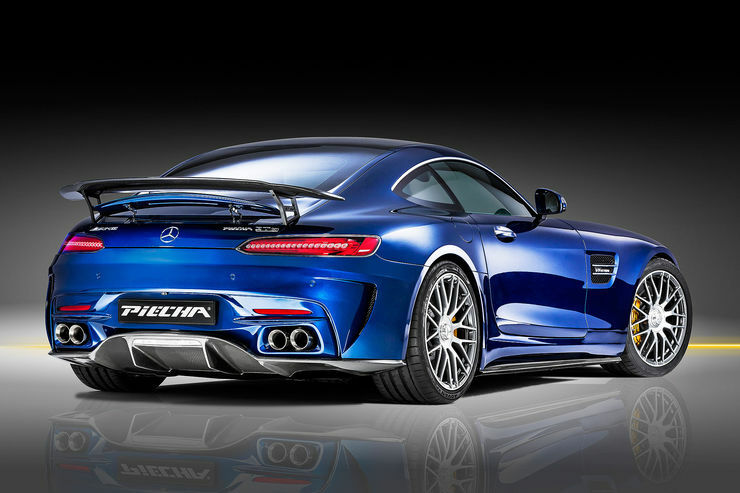 Not only the engine in the Mercedes-AMG GT S will be addressed by the German tuner. The modified optics are characterized by carbon “Air Wings” which divide horizontally the air ducts in the front apron, which should generate additional downforce. The nose gets two big air intakes and aero elements with carbon treatment. Five vertically downward LED recessed spotlights help to create a spectacular environment lighting. At the rear the Piecha RSR is wearing a powerful diffuser with integrated reversing light. On the boot lid, a large, fixed carbon spoiler is spreading. The existing standard, extendable rear spoiler also remains in place and maintains its function. Upgraded was also in the chassis. Adjustable springs were combined with the electronically controlled shock absorbers. They are joined by 19 and 20-inch Yokohama tires, 275/35 ZR19 front and 305/30 ZR20 rear. But the most striking detail is that the Piecha Mercedes-AMG GT RSR is, on paper at least, faster than the Mercedes-Benz AMG GT-R.